This is an illustration for discovery of a series of new trackways of deinonychosaur footprints from the Liujiaxia Dinosaur National Geological Park, Yongjing County, Gansu Province in China. 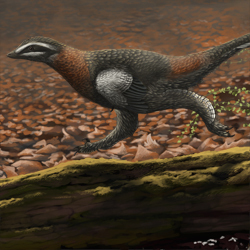 The footprints range quite a bit in size, indicating several different taxa which could include troodontids as well as dromaeosaurs. 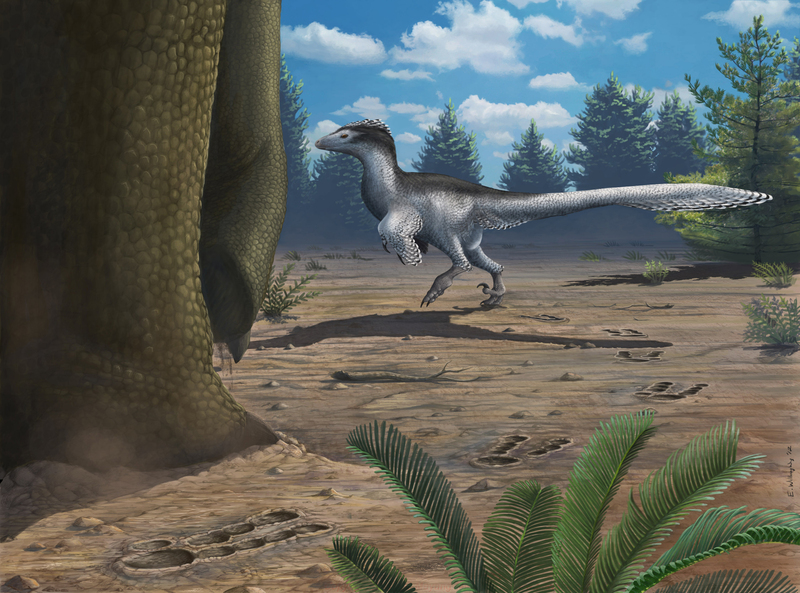 Some are found in close proximity to titanosaur footprints (drawn based on Huanghetitan here). 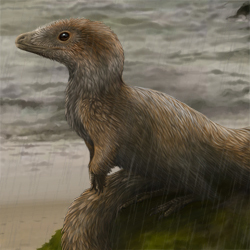 The deinonychosaur is represented here as a dromaeosaur genus similar in size and morphology to Deinonychus.